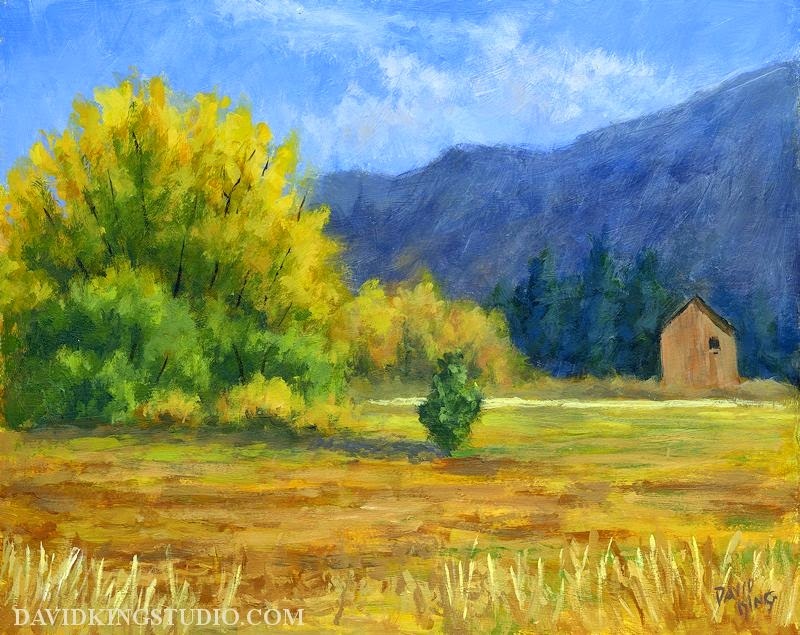 I've been a little slow to finish paintings lately, the tractor painting is still sitting the easel with no progress since my blog post about it. However, I did finish a different painting that I started more than two weeks ago. Today was a perfect spring day. I touch cool in the morning but nothing too uncomfortable. I decided to travel to Grantsville, do a little exploring for reference material and attend the first outdoor car show of the year. After a quick lunch I headed a short distance east to Erda and spent the afternoon sketching there. 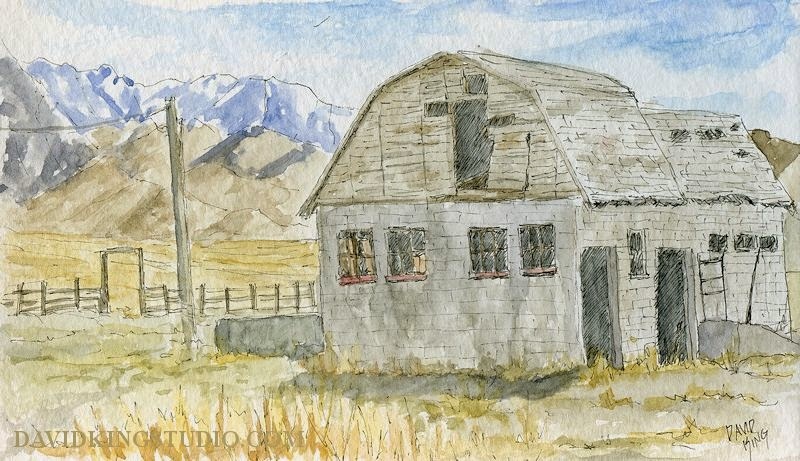 The first sketch is an old cinderblock barn in serious disrepair, it's looks like it haven't been used or maintained in decades. This appears to be a fairly large, solidly built and elaborate barn, I wonder what would have caused the owner to abandon it. The corral in the background also appears to have not been used for quite some time. Just a couple miles down the road from the barn was this neat old Ford truck. 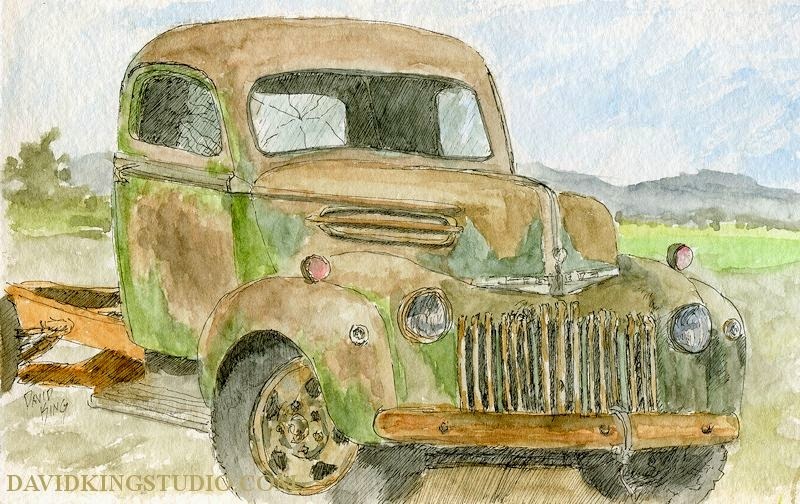 I really appreciate it when the owners of these cool old vehicles put them on display at the front of their property so I can enjoy sitting on the shoulder of the road sketching them. The truck shares it's resting spot with a couple horses who were pretty curious about the odd guy sitting there on the other side of the fence. It's funny how we sometimes don't see what's right in front of us. I have had a painting hanging in my studio that I've always liked that I made over three years ago. I just realized yesterday that I never talked about it in this blog. This painting pre-dates the start of this blog so it slipped through the cracks so to speak. I consider this painting a bit of a breakthrough for me, the beginning of a developing style. 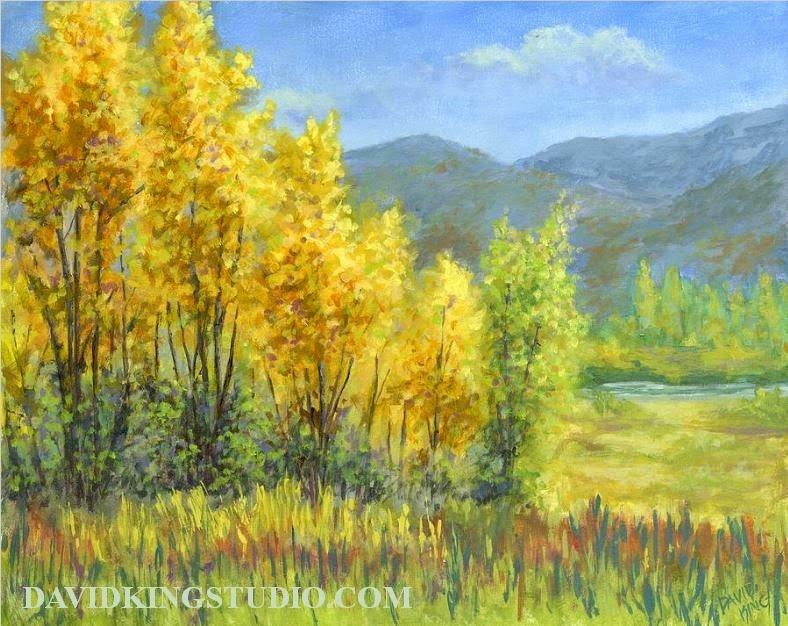 The painting is based on a photo I took while hiking around in the Middle Provo River restoration area in the Heber Valley in Wasatch County, Utah. That sliver of blue in the background is the Middle Prove River, a favorite of fly fishermen. This is one of my favorite places to visit. It's amazing to think that not that long ago the public was denied access to such a beautiful area and not only that it scenery was marred by fences and the destructive tendencies of cattle. I'm grateful for the vision and effort of the people that work so hard to open up public access to lands like this while preserving their natural beauty. 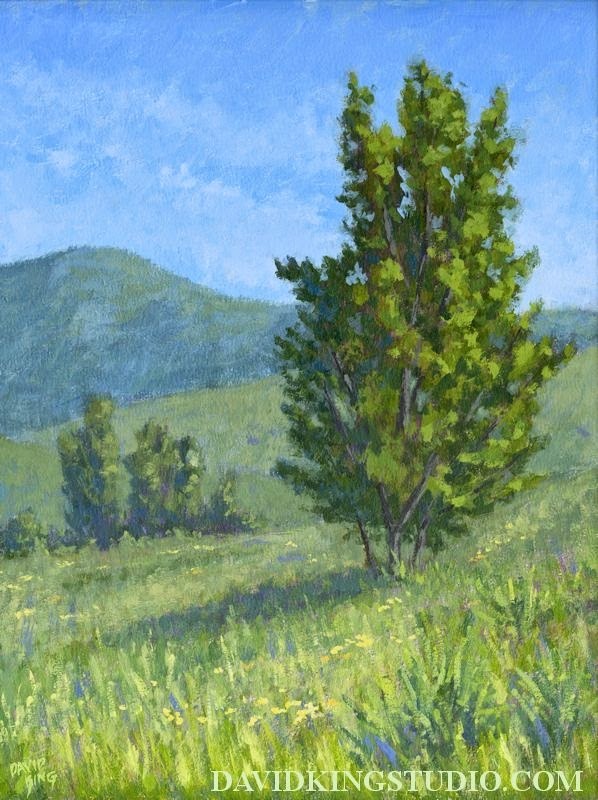 This painting is partly based on a photo I took last year on the Jordan River Parkway in Murray, Utah and partly from my head. The photo was taken on a very gray, overcast day but I wanted a bright, sunny spring feeling. Most of the background in the photo wasn't visible due to the limited visibility caused by the weather so I invented it, the actual background is ugly city stuff anyway. The same day I took the photo I painted a small pastel painting on location, here is the blog post about it so you can see the difference.